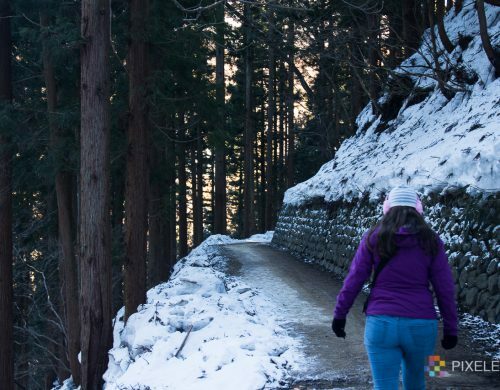 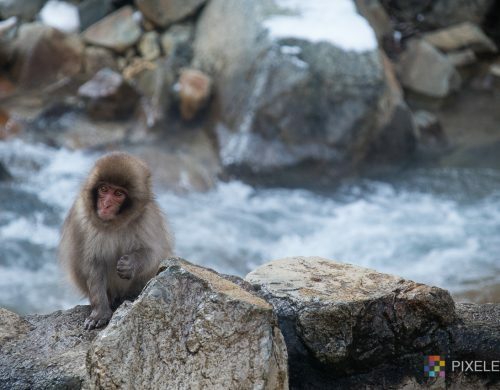 When we were first discussing what we wanted to do in Japan, Andy had only two requests: driving around the alps (check!) 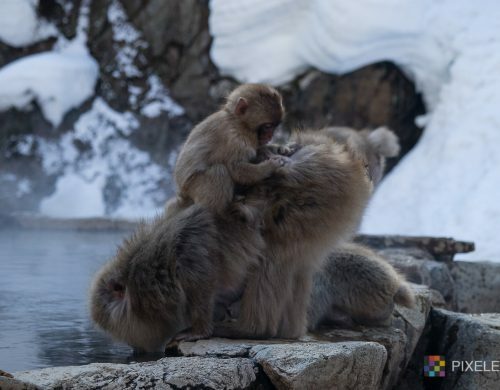 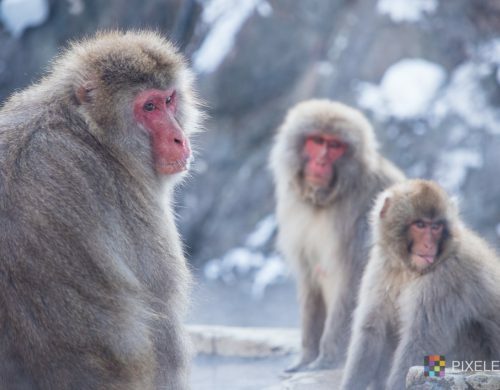 and seeing the snow monkeys. 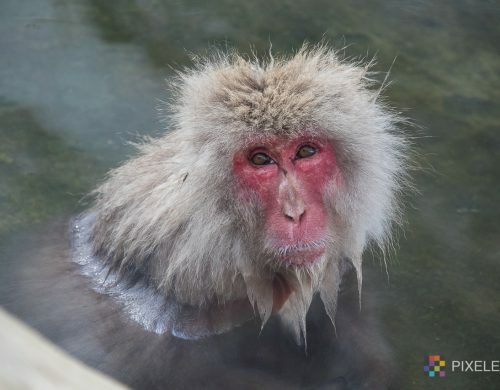 So we booked a night in a traditional ryokan (schlepping it, I know! 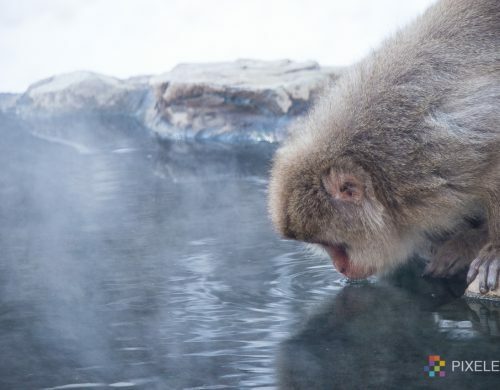 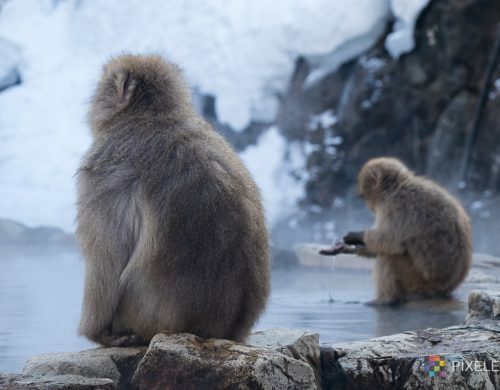 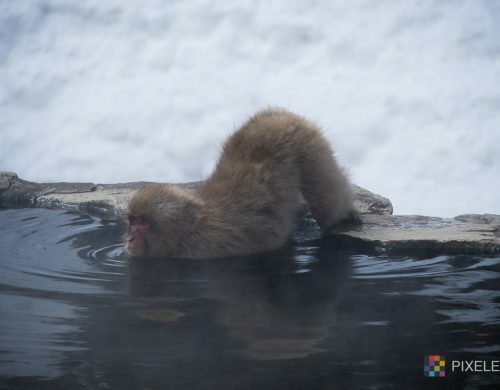 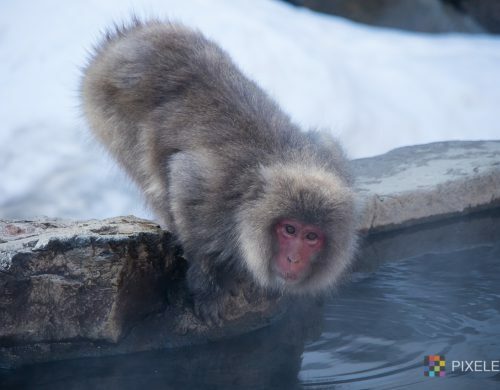 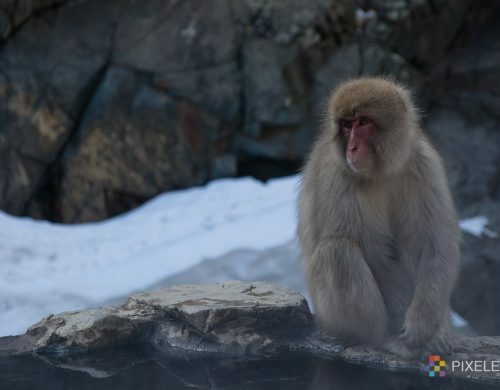 ), in the most adorable onsen town, and made plans for the 1.6 km ice-walk to the monkeys. 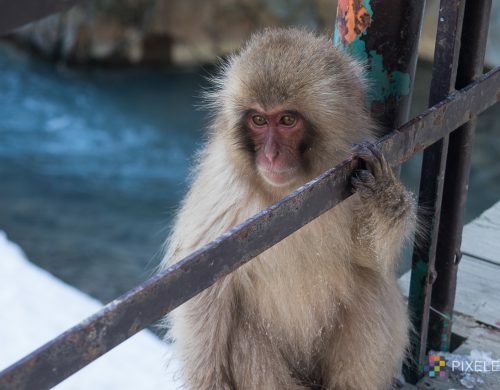 As I stood on the bridge looking out at the monkeys in the snow, this wee one climbed up next to me! 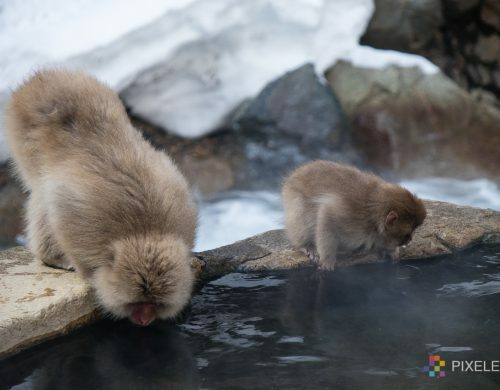 They may look cute, but they’ll take off with your food!